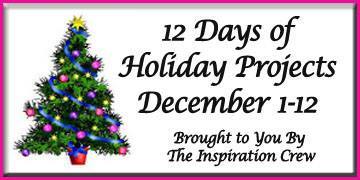 It's Day 4 of the 12 Days of Holiday Projects! We’re a group of online crafty friends who love being creative. We're now on Day 4 of a 12 day event to provide you with tons of Holiday-themed inspiration. We're making crafty projects using products we like and some of us are even offering prizes! Check each blog for information about what prizes are being offered and when the winners will be announced on that blog. I love this graphic card - I cut the letters using my Silhouette, embossed the green strip with my Grosgrain Texture Plate and printed the sentiment on the computer. That's an MFT snowflake as well, cut in silver mirror card. I made 24 of these for my Church Christmas cards. Beautiful and striking CAS card! Wow, your colors just LEAP off of your card! Wow...this card is sure to get the ten Lords-a-leaping with these bold and vibrant colors! Nice to see the awesome grosgrain die in action again! Graphic, clean, simple...so perfectly Ardyth! So gorgeous & bold. Love it! Great card but how do you get your grosgrain plate to emboss so deep? Mine barely shows up. Bright, bold, festive and yes, you've captured the essence of Christmas with your sentiment once again!! Love it! Love it!! Really cute! Love the bold font! Gorgeous card Ardyth. Love the simple, elegant design paired with the bold colours. 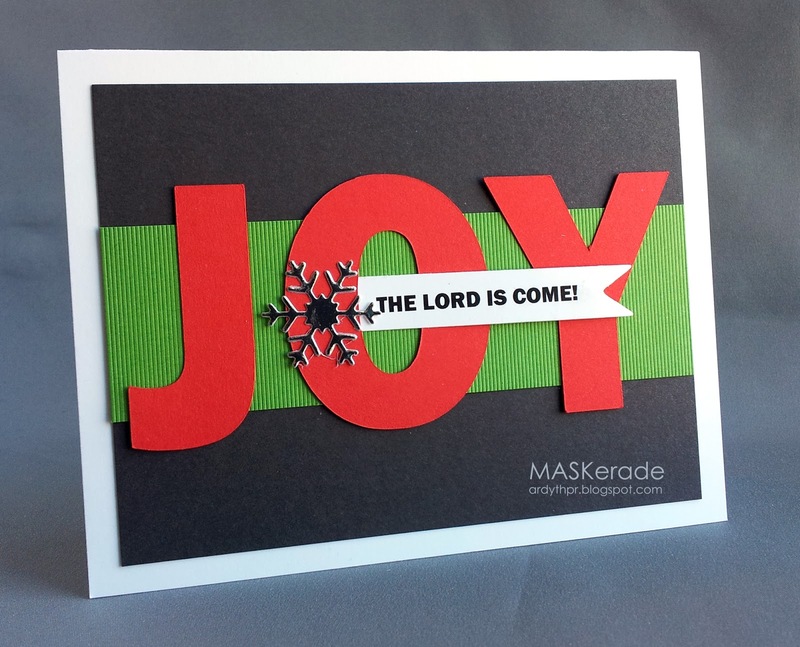 Striking card - love the bright, bold look. Ha, ya got me. I caught myself thinking when I saw your card "looks like a giant ribbon". Ta da. Grosgrain plate. That grosgrain texture plate has been on my wish list for awhile now. I think you were the first person I saw to use it. Love it here! Oh, this is so striking. I thought you had found giant ribbon, but the impression plate is even better. Fabulous effect.